Between the French Revolution and the First World War France produced an impressive group of classical liberal and conservative writers. They focused on the problems of creating a constitutional limited government, the issue of free trade, French imperialism and colonialism, the history of the French Revolution and Napoleon, freedom of speech, the rise of socialism and the welfare state. They differed from their English colleagues in a number of ways, particularly in the French preference to ground the defence of liberty on natural rights instead of utilitarianism, which was increasingly favored by the English. By the time the First World War broke out the French liberal movement had been fatally weakened and it virtually disappeared. John Lukacs, “Alexis de Tocqueville: A Historical Appreciation” in Literature of Liberty, vol. V, no. 1, Spring 1982 . Editor’s Introduction to François Guizot, History of the Origins of Representative Government in Europe, trans. Andrew R. Scoble, introduction and notes by Aurelian Craiutu (Indianapolis: Liberty Fund, 2002). 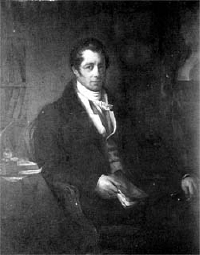 David M. Hart, “Jean-Baptiste Say (1767-1832): An Annotated Bibliography”. 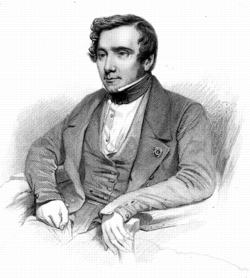 David M. Hart, “Comte Destutt de Tracy (1754-1836): An Annotated Bibliography”. Sheldon Richman, “Frederic Bastiat: An Annotated Bibliography”.